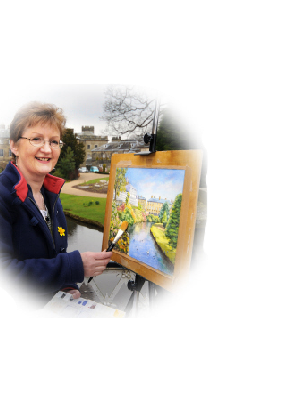 Specialising in landscapes and buildings, Kathy makes good use of all meduims available to an artist. She is well known for her scenes of the Peak District and in recent years has been busy painting on location in foreign parts, also tutoring painting holidays in Portugal. Kathy MacMillan (nee Gregory) was born in Glutton Cottage, Glutton Bridge in the White Peak area of Derbyshire. When she was nineteen she moved to the Dark Peak in Chapel-en-le-frith. 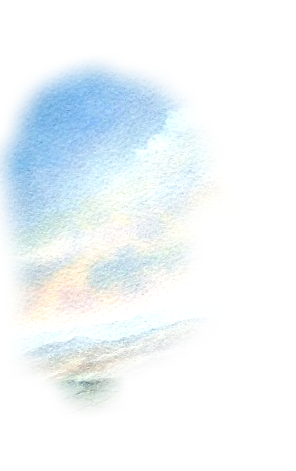 When asked, Kathy told us "I absolutely love to draw and paint this beautiful part of the world, either out on location or in my studio, situated at the foot of Eccles Pike and overlooking Castle Naize. I adore the luminosity and immediacy of watercolour and the vibrant, emotive brush marks of oils or acrylics, also the expressive lines and subtle tones of pen and pencil drawings. My aim is to achieve a definitive flavour of a place and time through keen observation and technique. I am pleased to say that my work remains popular as I have worked as a professional artist since 1995"
Kathy has won many awards in recognition of her talents. 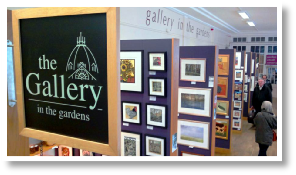 Kathy is a member of High Peak Artists and has a permanent exhibition space in the Gallery in the Gardens, at the Pavilion Gardens, Buxton, Derbyshire.